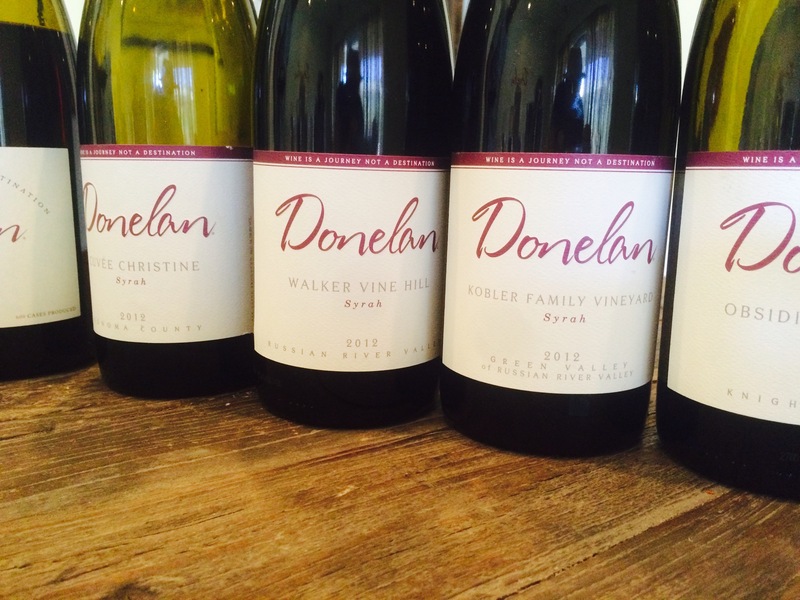 I love checking in with Donelan Family Wines, they’ve been making Syrah for years now, both under the Pax label and now with the Donelan Family label. And they’ve stuck to their guns, sure they make a few Pinots here and there, and some nice whites, but they are decidedly a Syrah house. They’ve had some of the same vineyard sources for over a decade so it’s fun to see how the wines develop and how the new vintages evolve. Tasting with Joe was a treat. The winery recently changed winemakers. Joe Nielsen took over the reins from Tyler Thomas in 2013. 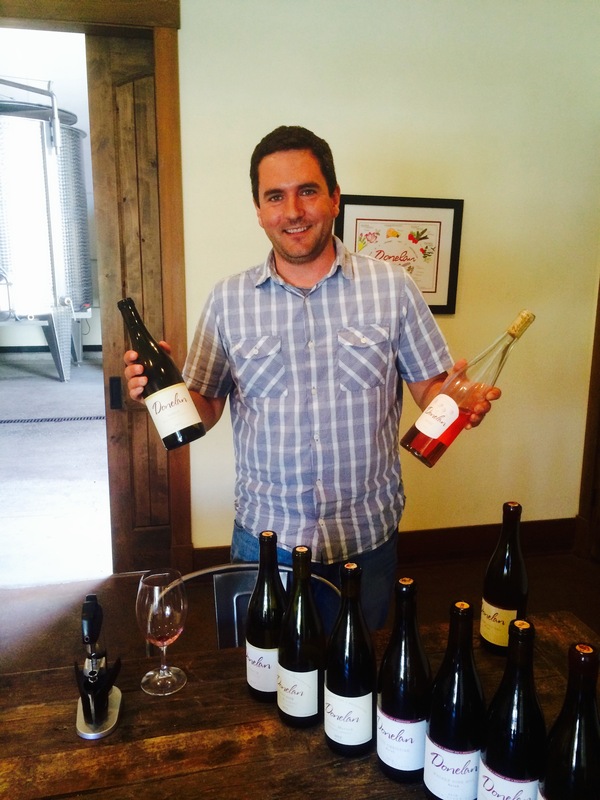 He had been assistant winemaker for 4 years so he was very prepared for the transition. I met with Joe in early July to go over the latest releases. Unfortunately, all the following wines (except for the Cuvee Christine and the Walker Vine) are sold out. I include them here for you fellow Syrah geeks so that you can keep track of what’s going on with Donelan and get super excited for the 2013 bottlings. The 2012 Cuvee Christine 14.1% ABV $48. This wine is meant to be a postcard of Sonoma Syrah, kind of like a journey through the different sides of Sonoma. On the one hand, it’s savory-gravel and fresh but on the other hand it’s fruity and broad with smoky tannins and blackberry and plum flavors. There’s a brightness to the wine that I didn’t expect. The 2012 Walker Vine Syrah, 13.7% ABV $65, is a richer, rounder, fuller wine but with good acid structure in the mid-palate. It tastes fully ripe and expressive but that mid-palate structure keeps it from being jammy or over the top. 2013 is the last year for Walker Vine Syrah which marks the end of an era for the Pax and Donelan iteration of that vineyard. It will be missed. The 2012 Kobler Family Green Valley Syrah/Viognier, 13.5% ABV $60. This is my type of Syrah, It’s floral and shows the cooler side of variety. The Viognier is really showing here, elevating the floral aromatic complexity. After that floral on the nose, I get the salted plum aroma that I love on Viognier-added Syrah, there’s crushed rock on the palate and something meaty and smokey there in the background. The 2012 Obsidian Knights Valley, 14.7% ABV $105. The Obsidian is, of course, Donelan’s flagship vineyard which they, in fact, have recently purchased. This is a big meaty Syrah, and somewhat more blue fruited than the others and sees a little more new oak. It’s a brighter wine than I remember from the last vintage I tasted and has some nice freshness to counteract those big notes of fruit, oak, and tannin. 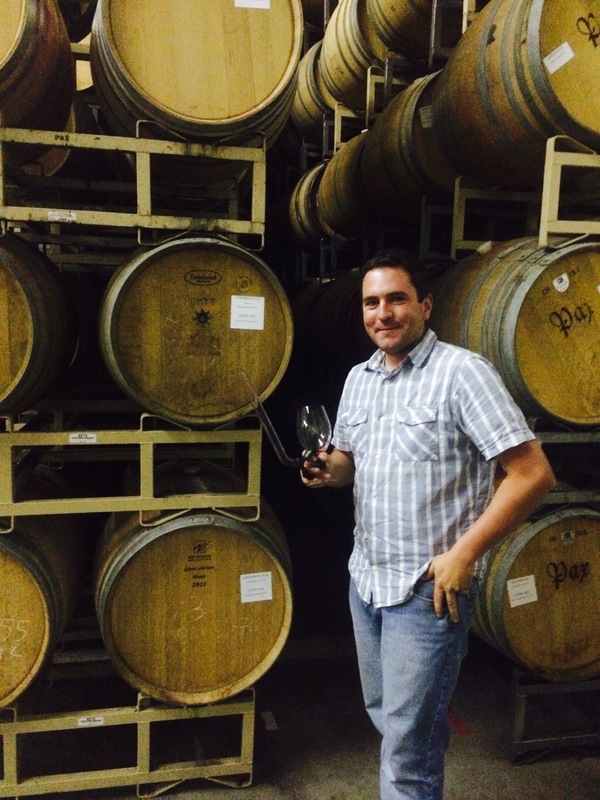 The 2012 Cuvee Keltie, 14% ABV $90, is a wine that Donelan winemakers have referred to as a “winemakers’ wine. It’s a blend that, as Joe said, develops its singularity from the decisions that the winemaker makes rather than the vineyard. The idea for this blend is to really play up the savory side of Syrah by using whole cluster fruit and aging it in neutral barrels. The result for the 2012 vintage is a rich wine but with a mineral backbone and a meaty side. There’s a fair amount of tannin there too because the blend was made with grapes from smaller berry lots. It’s an impressive wine and one that I’d like to revisit in a few years after some bottle age. The Kobler Family is Donelan’s most elegant Syrah and, as you can imagine, my favorite because it displays so much cool-climate character. But that’s not to say that the others aren’t elegant and, as you can see from my notes, all the wines possessed a freshness and modest alcohol and oak treatments that I feel lets the vineyards shine. After barrel tasting the 2013 wines, I”m confident Nielsen has the same deft hand with the different vineyard sites that Donelan has made famous through the years. What I’m always struck with when I visit Donelan is the intense devotion from the winemakers, be it Tyler Thomas or Joe Nielsen, to leaving no stone unturned in order to make the best wines. For example, Joe told me that in 2013 they separated the Walker Vine vineyard into thirteen different lots which they picked at different times. These guys are not messing around and their attention to detail is borne out in the elegant and site-expressive Syrahs in their impressive line up. Australian Shiraz/Syrah you ask? How could it be cool-climate? Well, after years of hearing about a cooler-climate style of Syrah from Australia but never actually being able to find any, I’m happy to report that it exists! And it’s delicious! 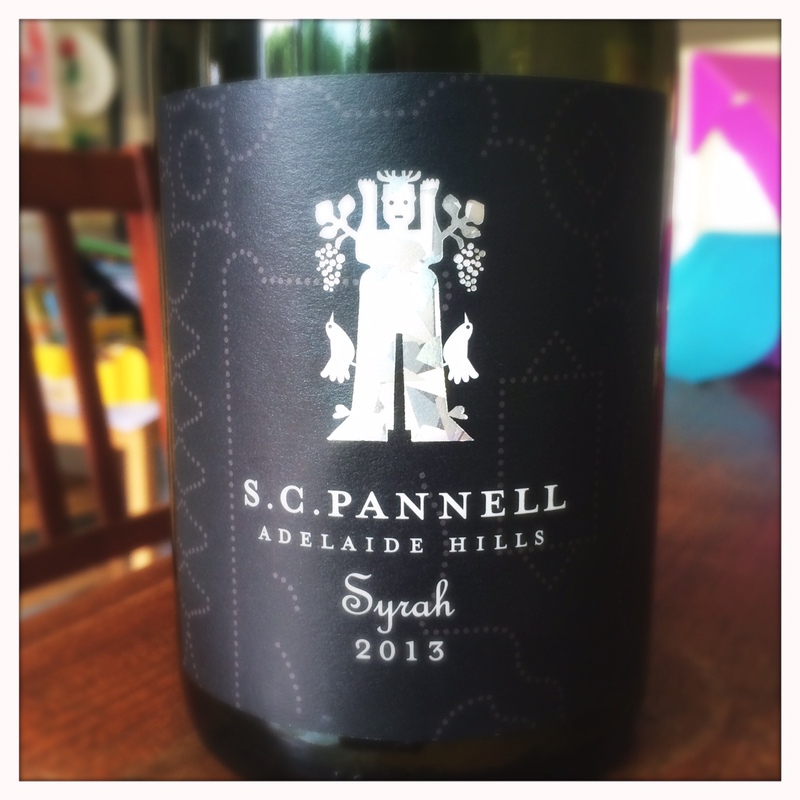 The S.C. Pannell Syrah has cool-climate character in spades. It’s got minerality on the nose, mixed with underlying fresh strawberry and blackberry and an intriguing dark-chocolate note. The palate is full but with good lift (it’s not a cloying wine at all), and it finishes fresh and not-too-tannic. It’s a beauty and I’m happy to have found it. Interestingly, the winemaker calls it Syrah, to differentiate it in style from other Australian Shiraz and to connect it more with the Northern Rhone. There’s an elegance and freshness that I just haven’t tasted in an Australian red and it makes me excited and hopeful that there are other examples of Australian Syrah like this. The wine is grown on granitic soils in the Echunga vineyard of Adelaide Hills appellation about 1300 feet above sea level. It has 2% Viognier and it’s fermented with about 20% whole cluster. The wine was aged in 25% new oak puncheons and vats for about 12 months. The resulting wine is 14% abv. It won the Jimmy Watson trophy recently. If you haven’t heard of it, that’s ok, neither had I. Apparently, it’s a huge honor in Australia. Not only is it an honor for the wine and the folks behind it, but I can’t help think that it’s a validation for wineries in Australia who are leaning towards a more restrained style of Syrah.